synthesizer.com and synthrotek make that is available in the EU. Or some way to change a wall attachment type to freestand somehow? Any ideas? Cables everywhere, i don't have space to mount on a wall or side of my case at the moment either so freestanding is my only solution for the moment! take a mic stand, replace the vertical bar by a piece of plywood ca. 2 cm thick, and attach Erica cable holders to all four sides. 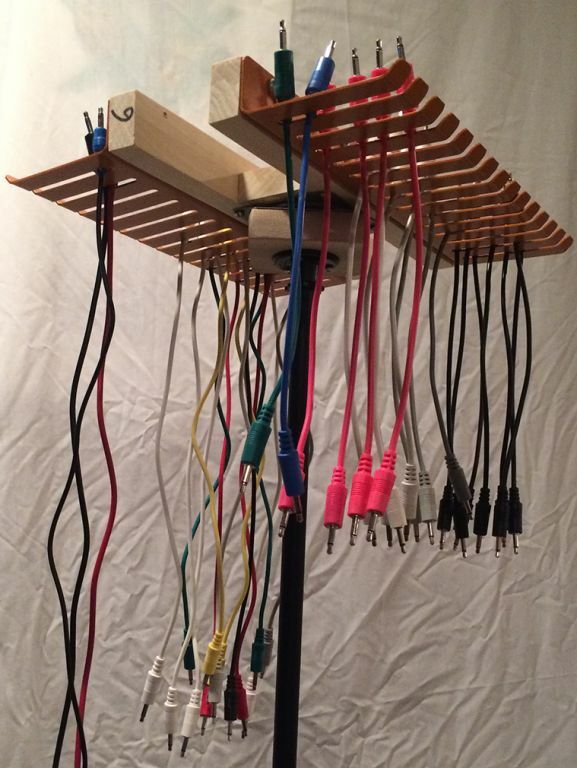 Voila, this is your free-standing spinning cable holder! You can find these cable holders in Schneidersladen (or elsewhere). Oh i'm with you, get a round pole piece of wood, ah yeah i think that would work nice one!! For my 5U patch cables I have the typical Pomona cable hangers attached to the door of my studio but for eurorack I've just been throwing them into little plastic tubs. 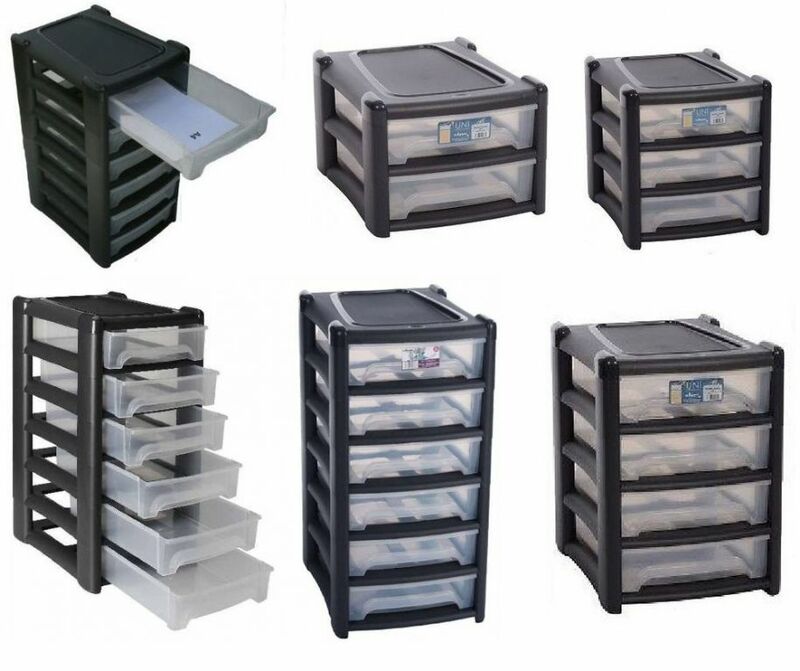 I don't have a particularly large amount of eurorack so it has been OK but I've been thinking about getting a little plastic multi drawer unit to have a little better organization. 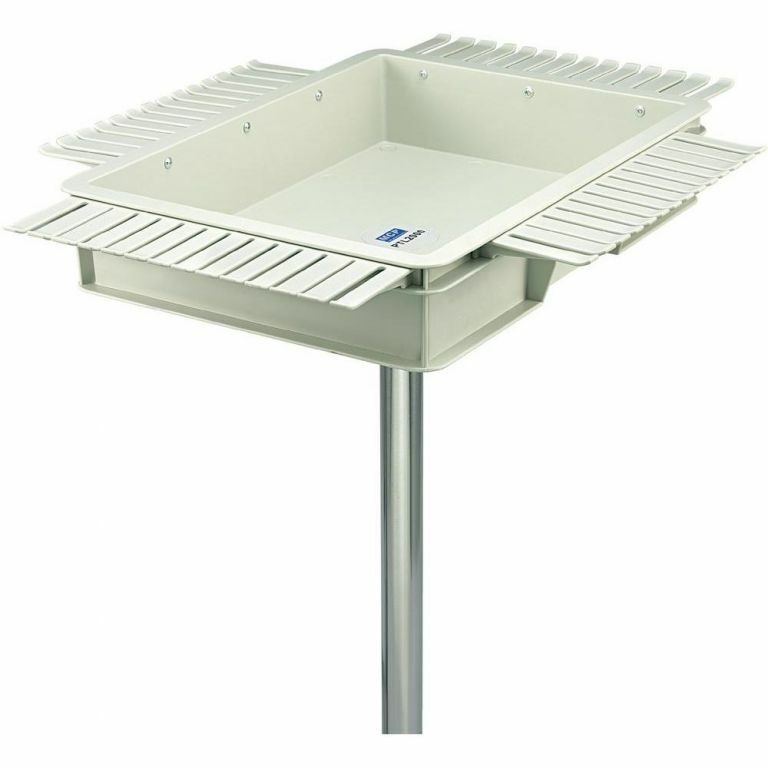 They are light, inexpensive, can easily be transported and the drawers are easily removed so you can lay them out for hyper patching sessions. In some ways not as convenient as a hanger system but something to consider, especially if you play live? This is my cable holder - a microphone stand, a couple of cable combs, some scrap wood, and a small turntable bearing. 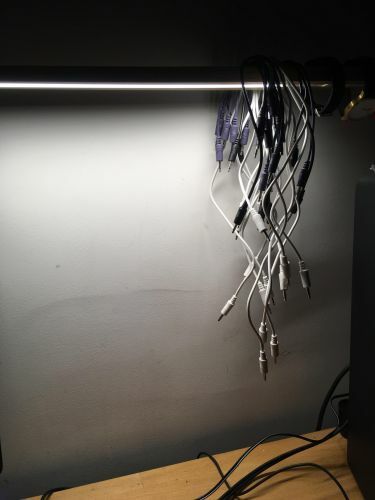 I wish I could use cable holders :( unfortunately I have cats, and they just don't mix well with patch cables at all! Those plastic drawers look like a great alternative. Can always use a lamp! Dude I don’t know if you know what this forum is, it’s a forum specified in music technology, in particular analog synthsis in modular formats like 5U SERGE and Eurorack. This looks pretty much like what I had in mind! Yes this is what I’m looking for. I don’t have any tools to cut wood I was hoping there might have been a solution I could just buy in the eu looks like I’m going to have to visit my local DiY store. I did see an amazing stand for €111 that looked perfect but was so expensive. I might just buy it we’ll see! I use a lamp too! This is the one i saw that looked amazing but defo high end of things. Actually, the price for that unit is not that bad considering what it costs to buy the components. For the one I built (pictured in my post earlier on), the microphone stand was $20, the Pomona lead holders were $16 apiece, the turntable bearing was about $3-4. And mine doesn't have casters to roll around on the floor, which would add another $8-10 or more. So to build your own like the one in the picture would cost at least $100 in pieces/parts and it sells for $130 complete. And it's got that nice box/tray on top for misc. stuff. When you put it like that costing your homemade one to that pretty much think I’ll just get one tbh! 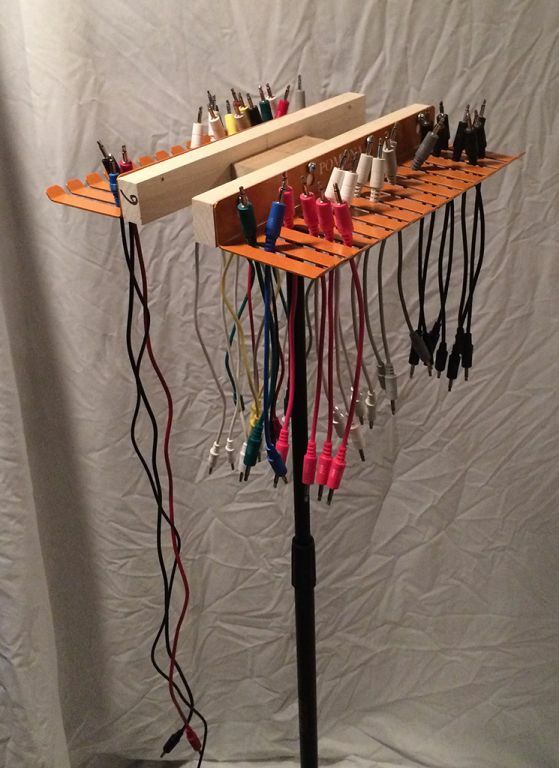 You could build one cheaper with non-standard parts - use a wooden block and a broom handle for a stand, hair combs, pegboard holders, or afro picks to hold the leads, plastic washers and a through-bolt for the turntable bearing. It will do the basic job for less money, but you'll spend more time putting it together. It's like getting a eurorack case - buy the rails, power supply and all the misc. pieces, get some wood, or an IKEA cabinet, and put something together. Or save the time and buy the case already put together. I started with a small 6U x 84HP box made from cardboard with some TipTop rails and a uZeus power supply. When I outgrew that and needed something bigger, I took the easy route and bought a Pittsburgh Modular EP-420 box. Even if I put a minimum value on my time, it would cost almost as much to build it as to buy something. That's my opinion, YMMV. It's a very convenient thing to have, but of course some cables are just too long so they touch the floor. Is that as tall as it goes? What’s the longest lead it will hold without touching the floor? 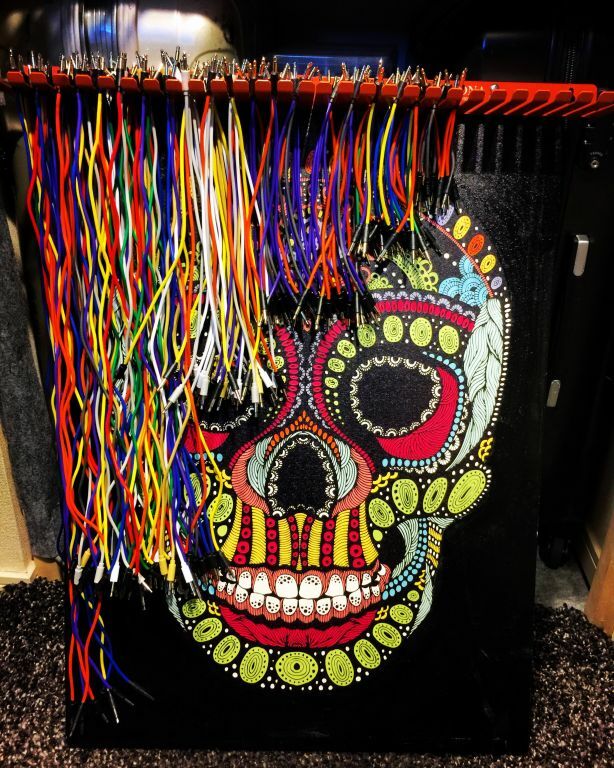 Thanks man also it holds eurorack cables fine none fall through? just had a look at the thing at the [url=https://www.conrad.de/de/voltcraft-ml-10-fahrbarer-messleitungsha lter-108576.html Conrad website [/url]. 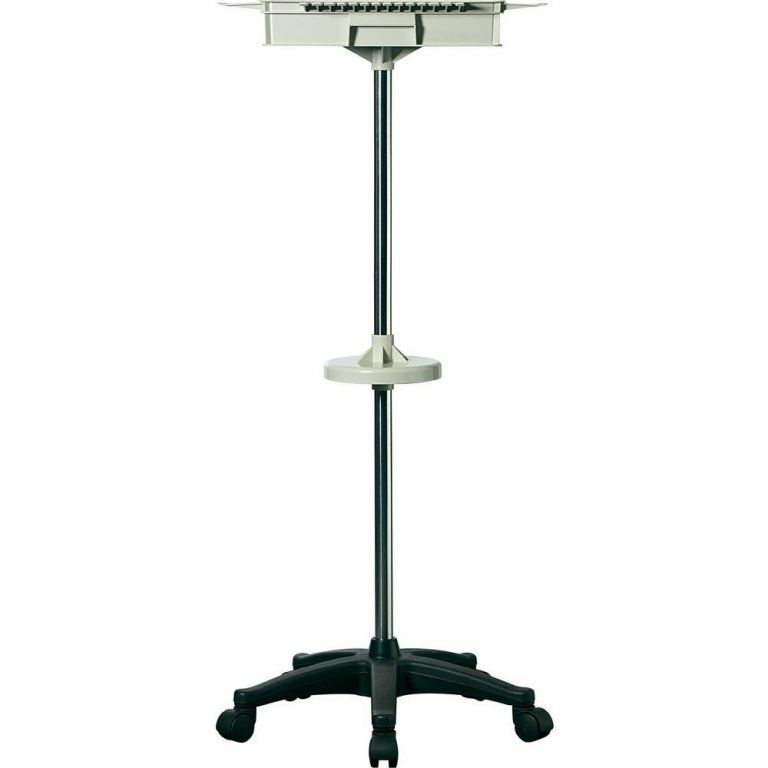 The overall height is 135 cms (not adjustable). The blue Doepfer cables (120cm) just touch the floor. Thin cables are no problem, the thicker they get the more difficult it will be. The most annoying part is that the slits are not all the same width, so I did some adjustments. Thanks guys. I defo need to just bite the bullet, my current solution is they are just thrown on a coffee table... Not good but better than the floor lol!